» Uncategorized » Wasteless Pantry Big News! 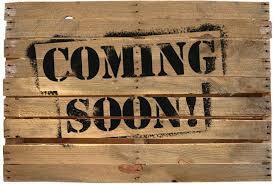 We will be opening a new store in Bassendean and another new store in Greenwood in September!! We have been working hard on this since last year, trying to be patient to find exactly the right opportunities that will best serve our community. You know that we really care about making waste reduction as easy and convenient for everyone as possible; that can take some time to set up just right. We have managed to find just the right people to run these stores as well as just the right locations so that these new communities can get all their shopping done as waste-free as possible all in one stop (just like what we have in Mundaring). It is important to us that this type of shopping becomes mainstream, not a funny little thing to do only if you are super eco-conscious, cashed up and time rich. We want everyone to have the opportunity to access this resource for reducing food waste, plastic packaging waste and disposable items. We hope that you will continue to support us and spread the message to your friends in other areas that waste less living is achievable in small steps and enjoyable on the journey. I love your food and the syrups you sell.